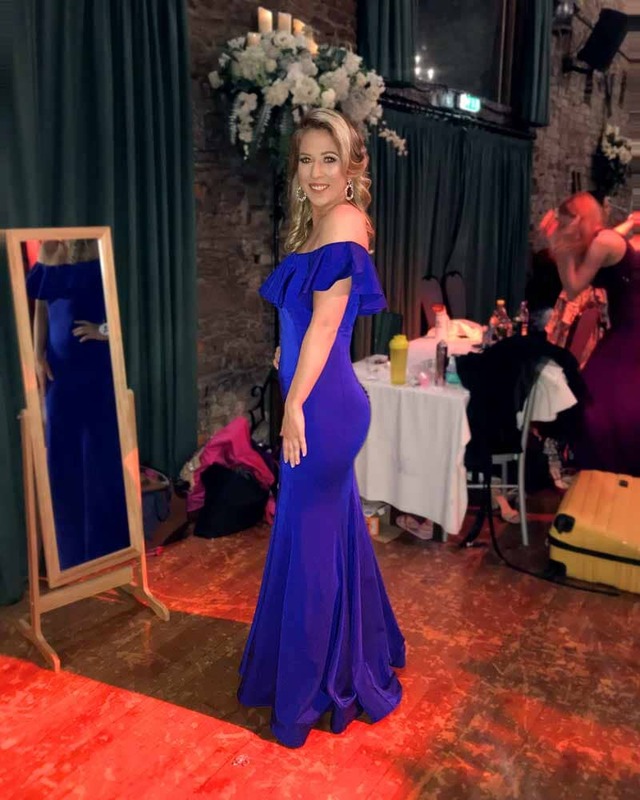 In the midst of the chaos going on back stage Magdalena managed to take a quick snap before making her grand entrance for the Miss Galaxy Pageant. This deep-blue figure-hugging, off shoulder ruffle evening dress is perfect to show off those curves. The hem of this dress has whats called a ‘horsehair braid’ sewn into it, which is what makes the dress hold this shape when moving around. Perfect for the stage or just walking into a room! Teamed up with a fab pair of earrings this is most certainly an eye catcher. 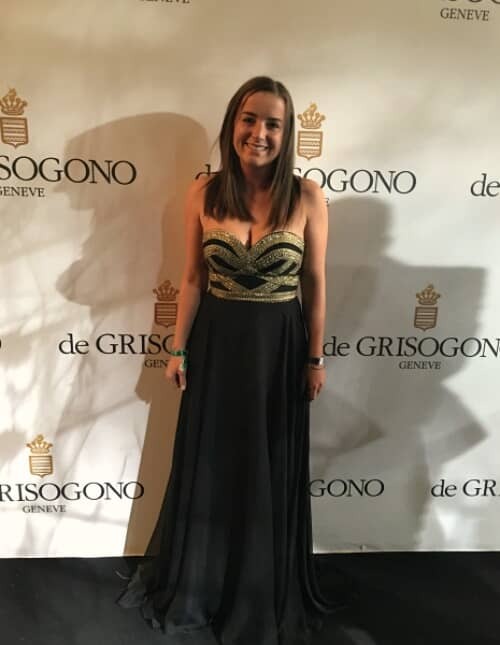 Daria stood out from the crowd at the 2018 Golden Unicorn Awards and Russian Film Festival, adding a splash of colour to the party with this gorgeous green satin ball gown. The full satin skirt pulls in at the waist to create a beautiful silhouette. The bodice is covered in tiny green glass beads, adding a touch of sparkle and magic. 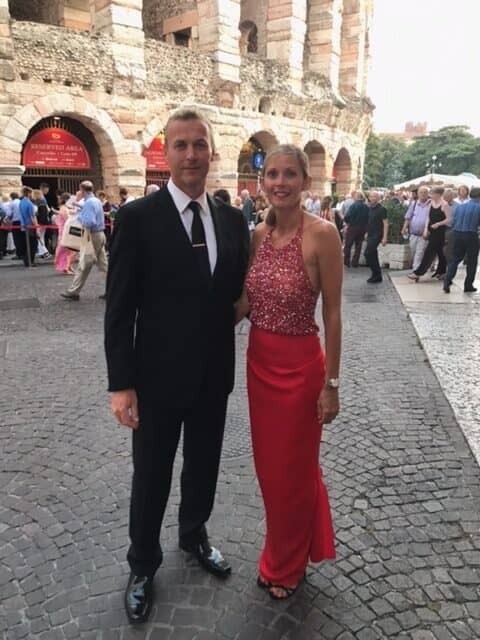 Possibly my favourite picture of all time… Our beauty returned home after a night at The Globe Theatre, and what makes this picture better? Is it the cheese toasty in her hands! Thata girl! Daffodil yellow ballgown with an open back black bodice and a black beaded belt. 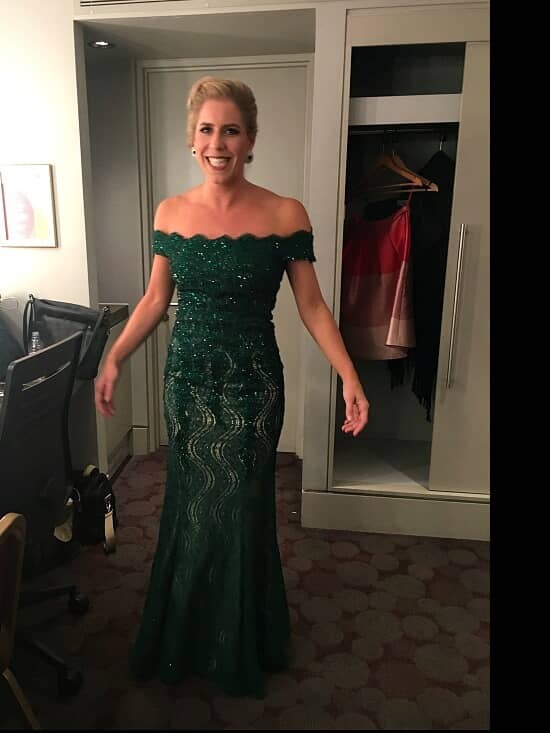 Here is our most recent beautiful client, soprano Lauren Fagan, just before she performed Vaughan Williams’ Serenade to Music, at Last Night of the Proms on Saturday. She is wearing our off the shoulder emerald green, heavily sequin fishtail dress.